KUALA LUMPUR: Police have identified a Datuk who assaulted a carpark attendant over RM3 parking fees payment. The case has been classified as voluntarily causing hurt, under Section 323 of the Penal Code. 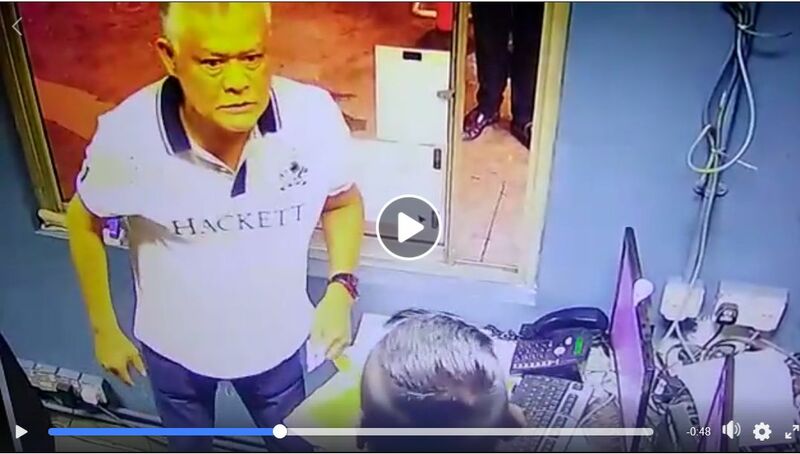 A video of the incident, in which the Datuk can be seen angrily approaching the victim before going on the assault him has since gone viral. Brickfields police chief Assistant Commissoner Ruslan Khalid said the victim, 31, had refused to raise the boom gate because the Datuk did not pay the RM3 parking fees. He said the suspect, who drove a Range Rover, scolded and assaulted the victim in the 9.20am incident on Sept 18. “The victim, who suffered minor bruises, lodged a police report the next day,” he said. The incident which was caught in the 1.18-minute video happened at a carpark office of a five-star hotel here. “The poor staff had to undergo this treatment from this guy just because he thinks he is a Datuk or something like that. It has since gone viral that the man involved in hitting the attendant was a “Datuk” and a director of a local telecommunications company.